OxiGreen is considered one of your best, most affordable choices when choosing a green carpet cleaner in Warminster, PA. OxiGreen can be described as a 100% green, a great pet and baby safe carpet cleaning company. We live in a critical time in our history when caring about our environment has become a priority for many people. At OxiGreen in Warminster, PA we agree and feel very strongly about being careful with our environment. That’s why we have made green cleaning a top priority. As a company, we decided we would go with a detergent-free carpet cleaning agents, a decision that we are extremely proud of. As a result, zero chemical pollutants are used in our carpet cleaning procedure. Nuts as this may sound, you could in fact eat our detergents for dinner, that's how nontoxic they are. We can confidently say OxiGreen is undoubtedly an eco-friendly company. 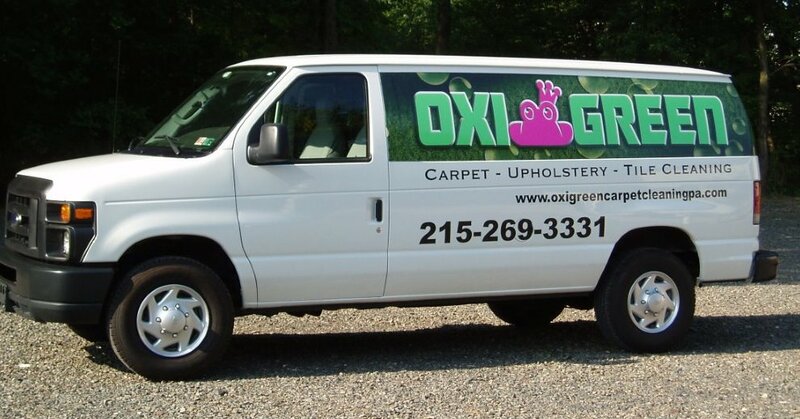 With our truck-mounted carpet cleaning equipment, OxiGreen delivers an efficient, highly effective, totally earth-friendly carpet cleaning. With the help of heated-water extraction, we are able to remove dust mites, dirt, debris and other toxins that are bound to settle deep in the fibers of your carpets. That is certainly a task that can't be accomplished with a regular, run-of-the-mill vacuum cleaner or carpet cleaning machine. When you put together our truck-mounted equipment with our eco-friendly cleaning methodology, we're able to draw out even the most embedded particulates, such as dust mites and their excrement, pollens, and pet dander as well and other impurities, leaving carpets fresher, cleaner and more rapidly drying. OxiGreen in Warminster, PA is here to respond to your call at215-269-3331. It would be our pleasure to visit your residence and furnish you with a totally free evaluation of your carpeting. You may also visit us online at http://oxigreencarpetcleaningpa.com to get more information on our company, our special package deals, and our many other household services, such as tile and grout cleaning and carpet stretching.